Night Watchman Dummy Camera | BUDK.com - Knives & Swords At The Lowest Prices! 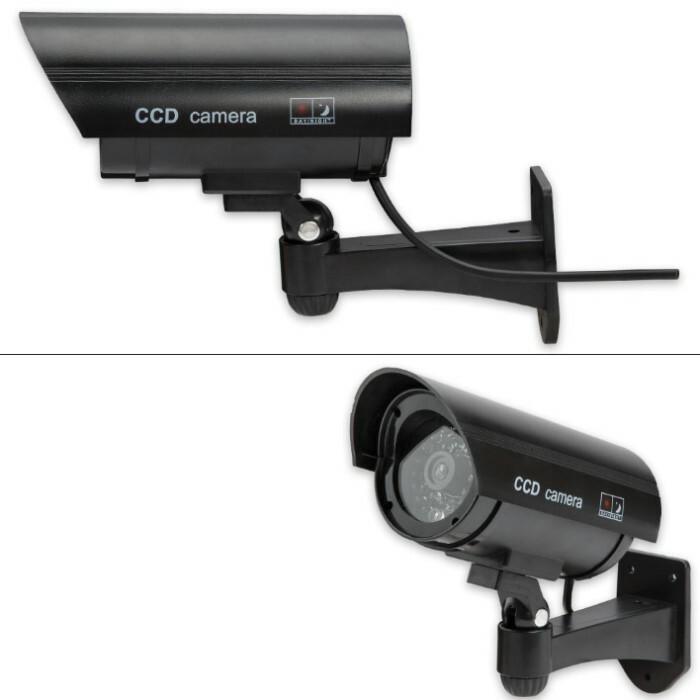 The Night Watchman Dummy Camera is a faithful reproduction of an infrared security camera. 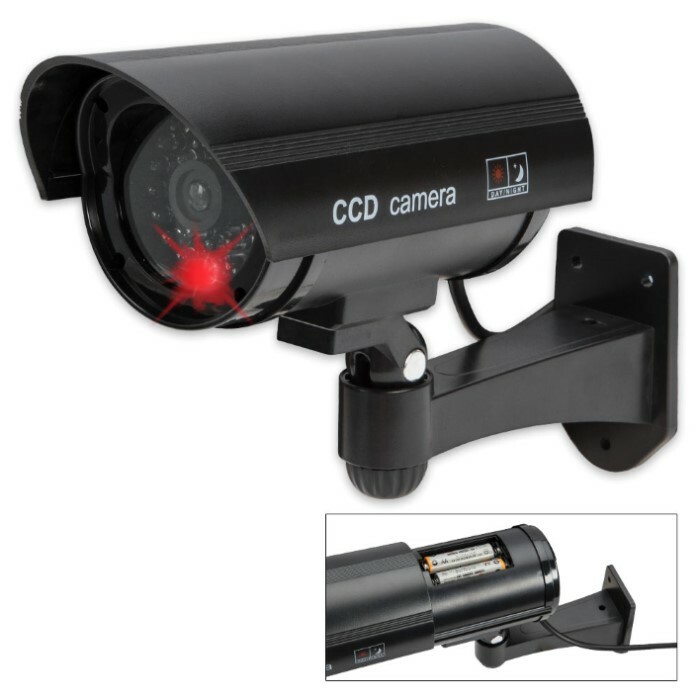 It features a built-in red flashing LED light that will deter thieves and intruders and also has a dummy cable on the back of the housing. It’s made of durable ABS plastic and uses 2 AA batteries (not included). The camera comes with three screws and three anchor bolts for mounting. 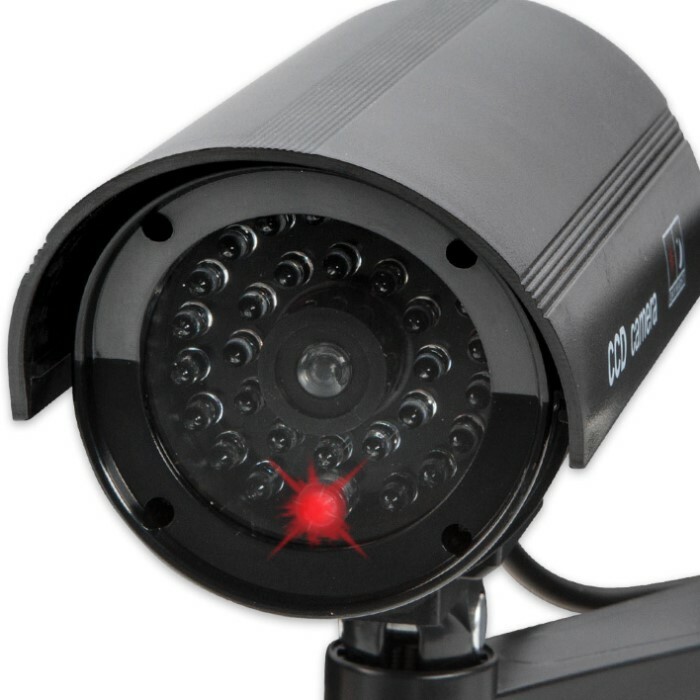 This deceptively real looking fake camera will make your house unappealing to burglars.